I like to rap! Err…make that wrap. That’s right, I may not be able to throw rhymes like I’m straight outta Compton, but I can certainly wrap up a gift. I like it so much in fact, that I have an entire box of paper, cards, and colorful ribbons –hey, you never know when the occasion arises. But finding the right materials isn’t always easy. 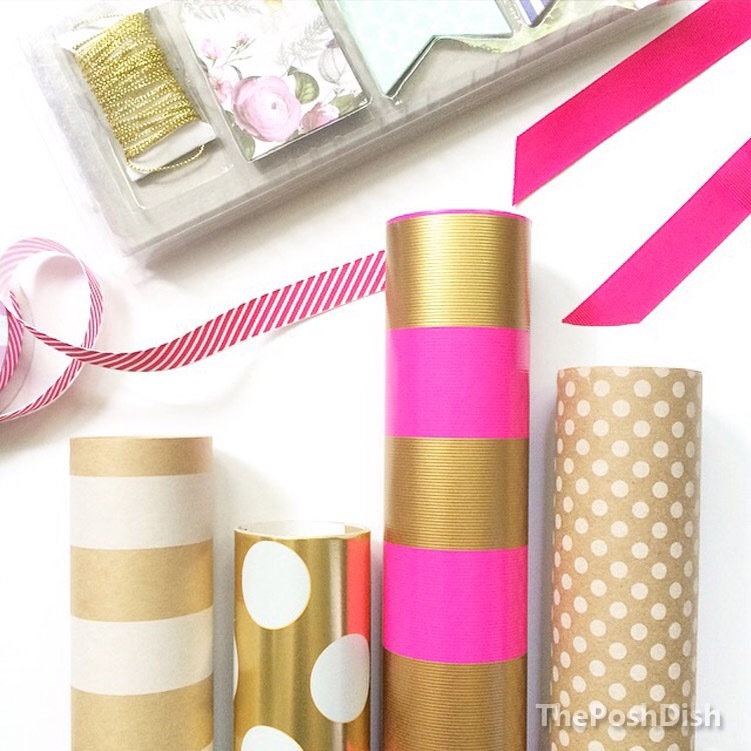 The secret to great wrapping is to make it fun. Receiving a gift is nice. Having intricate packaging? Even better. With that in mind, always look for patterns, texture, and shades that go beyond the basic. Dollarama: the dollar store is a great resource for many reasons –especially the low prices. It has a wide selection of great ribbons, including patterned, striped, and brightly coloured. Make this your go-to for all your gifting supplies. Michaels: Michaels is known for catering to all things craft-related. From wallpaper to yarn, you can find it all here (and spend hours doing so). This is a top spot in my books for wrapping paper and ribbons. Keep your eyes on their 2-for-$3 section, you can snag some great finds for so little! Marshalls/Winners: when you think of these two, the first thing that comes to mind is fashionable finds for less! But on your way to cashing out that fabulous cashmere cardigan for fall, keep your eye on the aisles. Both stores often have boxes of wrapping paper right by the register, and for no more than $4. Chapters-Indigo: books are not the only items you can buy from this store! Their selection includes gorgeous gift tags, Kate Spade wrapping papers and an array of other brands in eye-catching colours and prints.